Theodore Pete Alford, 83, of Gunnison died Friday, March 20, 2009, at his home. Funeral services will be at 2 p.m. Monday, March 23, 2009, at the United Gunnison Methodist Church with Rev. Hugh Holder-Cummings officiating. Burial will follow in New Cleveland Cemetery under the direction of Ray Funeral Home. Visitation will be from 4-6 p.m. today at Ray Funeral Home and again from 1-2 p.m. Monday at the church. Mr. Alford was born on December 28, 1925 in Cleveland to Mr. and Mrs. Zack A. Alford. He graduated from Merigold High School. Mr. Alford enlisted in the navy in 1944 and was a World War II veteran. He trained at Camp Perry, Virginia, and was stationed at Pearl Harbor, Hawaii. He reached the rank of Yeoman 2nd Class before his discharge on April l, 1946. He was a Mason and a member of the Gunnison United Methodist Church. 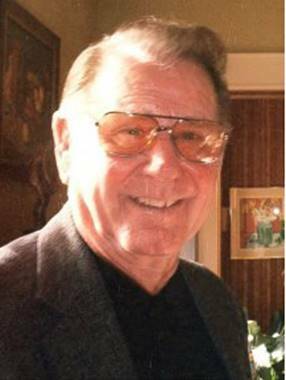 Mr. Alford was a pulpwood and timber contractor with U.S. Gypsum Company for 30 years and was engaged in the auto parts business in Rosedale and Cleveland before his retirement. He is preceded in death by his grandson, Matthew Ryon Baker. Survivors include his wife, Elizabeth Ann Alston Alford; a daughter, Cynthia Alford Baker and her husband, Stanley of Rogers, Arkansas; two sons, Theodore (Ted) Alford, Jr. and William Davidson (Dave) Alford of Donaldson Point Hunting Club, Gunnison; three grandchildren, Shelley Baker, Davis Alford, and Anna Vause Alford; and one sister, Mrs. Virginia Hort of Sierra Vista, Arizona. Online register book may be viewed and signed at www.rayfuneralhome.net. AAFA NOTES: We published the obituaries of his father, Zachary A. Alford; and his sister Hattie Mae Alford Gregory in the Mississippi Obituaries compilation. His lineage: Theodore 1925 MS1, Zachary 1881 MS2, Theodore 1839 MS3, John 1801 GA4.